Could the houses of the future be grown from mushrooms? 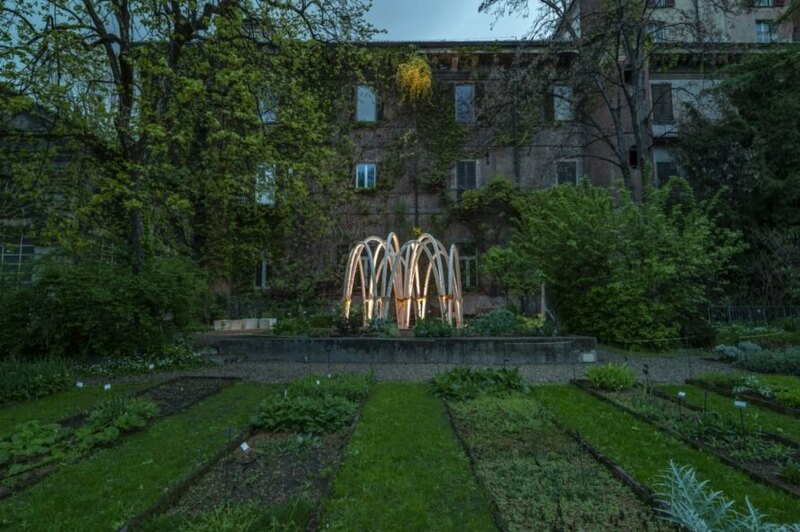 Italian architectural firm Carlo Ratti Associati (CRA) broaches this question with The Circular Garden, a sustainable pavilion made of mushrooms that — true to the project name — was grown out of the soil in six weeks and will return back to the soil at the end of its lifecycle. 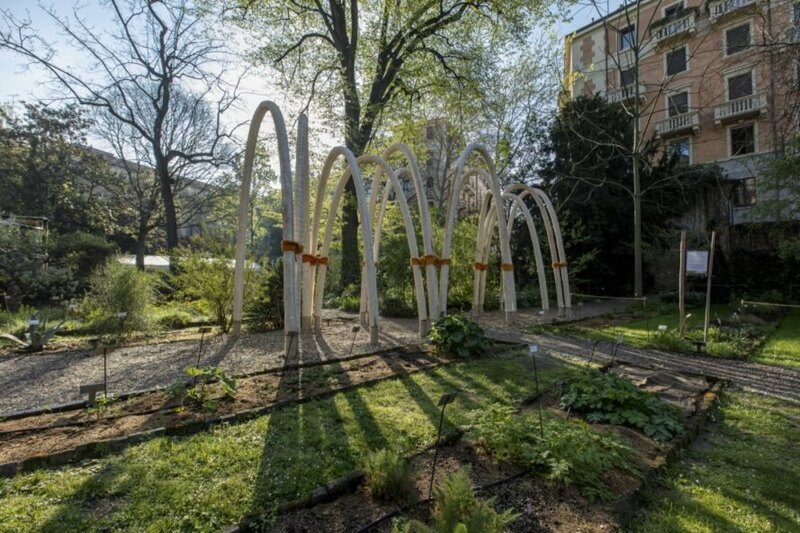 Created in partnership with global energy company Eni, the mushroom structure was on display at Milan Design Week 2019’s Fuorisalone at Brera’s Orto Botanico, the city’s botanical garden. The Circular Garden is constructed from mycelium, the fibrous root of mushrooms, which was grown in the two months before the debut of the pavilion. 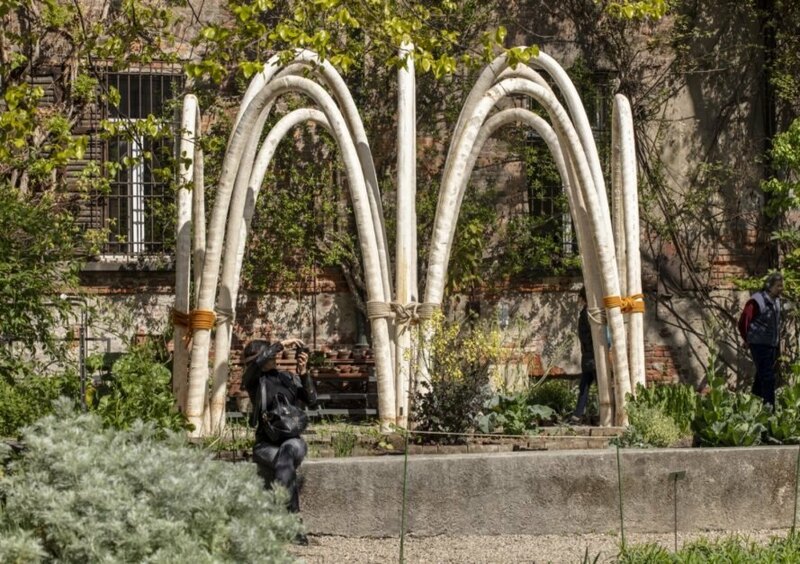 With help from leading mycology experts, such as the Dutch Krown.Bio lab, CRA injected spores into organic material to start the growth process and then shaped the material into a series of 60 self-supporting, 4-meter-tall arches that add up to a record 1-kilometer-long mycelium. The design of self-supporting arches was inspired by the works of renowned Catalan architect Antoni Gaudí, who famously used the “inverted catenary” method in his design of the Sagrada Familia in Barcelona. Visitors are invited to explore the Circular Garden, whose arches form four architectural “open rooms” in the garden. While most temporary exhibition pavilions generate large amounts of waste, CRA’s pavilion is largely biodegradable and its elements will be reused; the mushrooms, ropes and wood chips that make up the structure will be shredded and returned to the earth, and the small metal elements will be recycled. The installation is part of the INTERNI Human Spaces exhibition and is open to the public from April 9 to 19, 2019. CRA designed this pavilion for Milan Design Week. The structure was grown from mushrooms in only six weeks. The project was created in collaboration with energy firm Eni. The creation, called The Circular Garden, was built from mycelium. CRA injected spores into organic material to start the growth process and then shaped the material into arches. There are 60 arches in total. Each arch stands 4 meters tall. 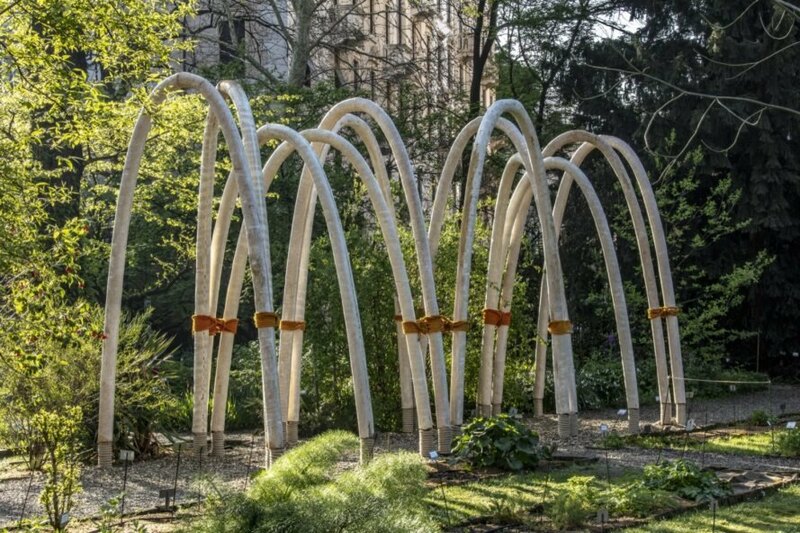 Together, the arches create a 1-kilometer-long mycelium. 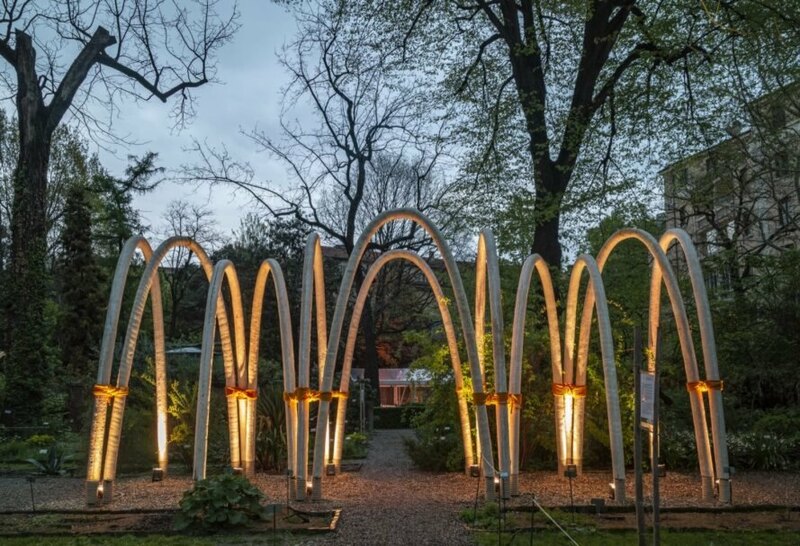 The arches are placed in a botanical garden in Milan. The structure envisions a future of growing buildings like plants. The arches form open-air "rooms" throughout the gardens. Despite its temporary nature, the pavilion is designed to leave behind no waste. The mushrooms, ropes and wood chips will be shredded and returned to the earth. Any small metal pieces left behind will be sent for recycling.